A French submarine with school children has been sucked into a fresh water hole, sea quest rushes to save them before their air runs out. How many episodes of SeaQuest 2032 have you seen? O'Neill: He was also the god of earthquakes - he'd stick his trident in the ground and shake it. Ford: Oh, that's very scientific. Let's hope he doesn't flush the toilet. Q: When did Micheal Ironside take over the show? Forget "jumping the shark." Try "triple backflip over the shark." 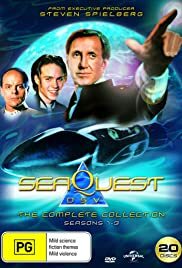 The sad tale of seaQuest DSV should forevermore be inscribed into a producer's guide of "what not to do" to a TV series. I was a huge fan of Star Trek: The Next Generation, and in many respects the first season of seaQuest DSV, airing opposite TNG's seventh season, was a more interesting show. It succeeded by not copying the Trek science fiction formula, but by complementing it, with a mythology grounded more in science fact than fiction. The series just exuded the feel of smart television, whether that feeling came from the subtle nods to current scientific research coming true or the almost Sorkinesque highbrow dialogue or Dr. Rob Ballard's involvement as a consultant. And then, well, to adapt a common internetism, the show "triple backflipped over the shark." Perhaps the one in the opening credits. All of a sudden, four of the more interesting characters (those played by Applegate, Beacham, D'Aquino and Haiduk) vanished into thin air. The remaining cast were neutered to shells of their former selves. 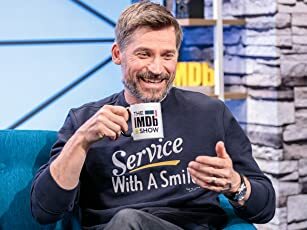 The show took a nosedive as far as plotting was concerned, and instead of thoughtful stories about real issues we got pulp culled from the worst of the worst of cruddy science fiction. Psychics! Laser guns! Time travel! Plants taking over the sub! Gigantic Crocodiles! Evil Aliens(tm)! Genetically-engineered slave warriors in skimpy wetsuits! Wherever the show could have stunk, it did. NBC, still no doubt rather proud of the fact that they'd cancelled Star Trek twenty-five years earlier, wanted silly lowest-common denominator sci-fi to grab an even bigger share of the ratings. Unfortunately for NBC, as the ratings attested, even the lowest common demoninator of Americana really had no wish to have to endure an hour of second season sQ DSV. There is some online opinion that show redeemed itself in its third season, although I personally feel that "seaQuest 2032" was no less odious than the year that had preceded it. After pushing the magic reset button as hard as they could following the events of the second-season cliffhanger finale, the writers essentially remade the show, turfing Scheider and any pretext that they'd attempt to tell smart television ever again. The show became a hammily-acted excuse of a drama, ditching the wide-eyed wonder of the first season and turning it into a geekfest of underwater shoot-em-ups with an evil bunch of pseudo-Australian pseudo-Fascists wrapped in a coat of paper-thin political intrigue(tm). Now more of an underwater Babylon 5 (and even that's being too kind) than an underwater Star Trek, I cried few tears when NBC put the show out of its misery. So, for all you wanna-be producers out there, a few lessons: (1) If a show is smart and popular, consider the fact that making it dumb will probably make it unpopular. (2) Never, ever toss aside characters for no reason other than to get people who'd look better in a wetsuit. (3) I'll take a talking dolphin over a bald tattooed version of Forrest Gump anyday. (4) Despite what your polling data may tell you, submarine fighters are not cool. (5) If a friggin' genius like Rob Ballard has agreed to work on your show, you're doing something right. If said friggin' genius leaves your show and you replace him with Michael deLuise attempting to read fascinating facts about penguins off a teleprompter, you're doing something wrong.